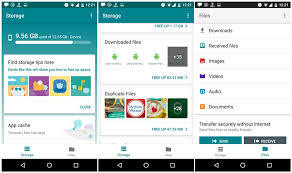 Files Go by Google is an excellent manager that helps you free up space on your phone, find files faster, and share them easily offline with others. This Google app is great, easily remove junks from devices, and free up lots of space. I never had this much space free in my device in the last couple of years. In my own personal research I have used several apps that claim to do this junk cleaning and space freeing but would duck the blood out of battery in the process and in reality would not do much. This one is easy on battery and is effective on space freeing process. In just a few taps, you can free up space more quickly and easily than ever: Delete old photos and memes from chat apps, remove duplicate files, erase unused apps, and clear your cache and more. Google Files Go helps to monitor how much free space is left on your phone and SD card. Easily transfer files to an SD card to free up your phone’s storage, right from the app. In the case that Google file Go find any file dormant and useless it prompts for a removal of the file. Google save you the time of looking for file around device. And then Files Go uses organized filters rather than folders so your stuff is organized more intuitively. With Google file go you can back up your file and photos to the cloud, this concept saves even more space. You can download Google file here.